Celebrity Chef Maria Loi will be offering a Prix Fixe menu this Valentine’s Day featuring unique Greek specialties including Rooster with Cinnamon Cloves, Branzino, Beet Salad and Cheese Pie. You will definitely think you’ve fallen in love during this dinner – at least with the food! Felidia’s will offering a special tasting menu so you and your special someone can try everything from Antipastos to Vitello with a special dessert sampling – hey, chocolate is an aphrodisiac! 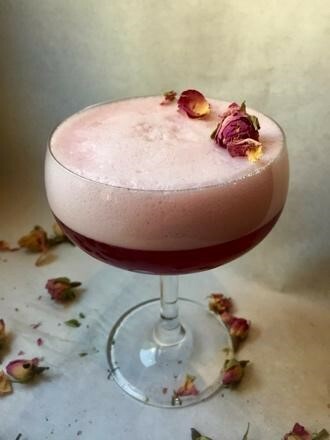 Geoffrey Zakarian’s The Lambs Club will be featuring a four course dinner with special wine pairings, live jazz, delectable dishes and even a baked Alaskan to share with your sweetheart. 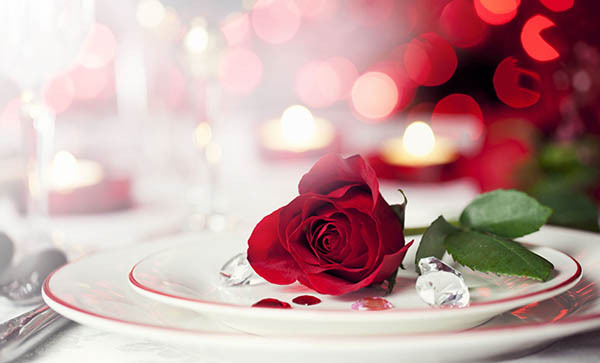 Valentine’s Day at one of the city’s sexiest restaurants, Scarpetta, will wow your date or gal-entine! From Braised Short Ribs to Mascarpone Cappellacci, this is the hottest spot to celebrate Cupid’s favorite day of the year. Valentine’s Day dinner is meant to be cozy and charming, and that’s exactly what you’ll get from Wallflower, a West Village gem. Seal the deal with their five-course tasting menu featuring Maple Foie Gras Banana Bread (meyer lemon), Pheasant Ballontine (braised cabbage, potato, black garlic), Sea Bream (celeriac, basil, pickled sea beans), Red Velvet Bomb (moscato anglaise) and more. Go Greek this Valentine’s Day and you’ll start feeling like Aphrodite, the goddess of love, when you bite into the Dry Day Boat Scallops or Lavraki at Midtown’s Kellari. Wow your loved one with Industry Kitchen’s stellar view and special Valentine’s Day menu. For a fun and mouthwatering menu, complete with Gulf Blue Crab Cakes (cauliflower, caviar sauce), Pink Filet Mignon (pink peppercorn sauce, truffle butter), Chef’s Heart Pizza ($22, beet crust, crème fraîche, lobster, lemon caviar, port wine glaze, chili, pineapple) and Flaming Lovebirds for Two, this is the place to be to celebrate all things love – and deliciousness! The six-course menu at Nerai will feature Candy Beets and Feta Tarte and Butter Poached Lobster in a fun, upscale atmosphere so you can relax while enjoying this midtown favorite. Vaucluse, a lively, modern brasserie offers traditional Provencal cuisine, fine-tuned to an urban palate. This cozy and elegant metropolitan twist on a French farmhouse on Park Avenue will make your Valentine feel as if they were swept away to the South of France for the evening. Try the Tartarde de Boeuf, hand-cut filet of beef, Epaulettes, rabbit and reblochon cheese ravioli, or the Poireaux Vinaigrette, grilled leeks, toasted almonds and mustard seed vinaigrette. Ristorante Morini is a relaxed, yet sophisticated, neighborhood restaurant on the Upper East Side offering a menu with both traditional and modern preparations of Italian cuisine. The four-course menu will feature Tagliatelle, ribbon pasta and fresh black truffles, Tonno, bigeye Tuna Crudo, or Merluzzo, broiled baked cod. Head over to 5 Napkin Burger and try the heaping one pound Burger for Two made with one pound of all natural Aspen Ridge Angus Chuck, topped with onion rings, American and Gruyere cheese, bread and butter pickles, tomatoes, onions and signature 5N sauce. Then split the Red Velvet Cheesecake (or eat one on your own… we won’t tell). These specials will be available for the month of February at all NYC locations. Bigger is better on Valentine’s Day, especially at Carmine’s. Get your girl squad together and share monster-sized dishes like Scarpariello Wings, Calamari and Eggplant Parmigiana. Even the cocktails are larger than life! Get the 23oz Rum Runner made with Cruzan White and Dark Rum, Fresh Pineapple, Grenadine and Fresh Lime. Make sure to end your night on a sweet note and share the Titanic Ice Cream Sundae. This gigantic sundae is made with an entire Chocolate Torta and topped with whipped cream, caramelized fruit, and hot fudge sauce. This year, Luke’s Lobster’s Be My Lobster promotion helps make Valentine’s Day special, even as you keep it casual by stopping by a shack or ordering online for takeout or delivery. Bring your sweetie and share two Luke’s Trios (each featuring a half Lobster Roll, half Crab Roll, and half Shrimp Roll), two half lobster tails, and two small clam chowders with your “lobster”.